Finance Minister Mthuli Ncube says the government is in the process of acquiring 350 vehicles for legislators and that what is left is to decide whether they get them for free or they have to pay for them through a loan. Zimbabwe has about 350 legislators combining the National Assembly and the Senate and they are all entitled to vehicles which they are supposed to use in servicing their constituencies. 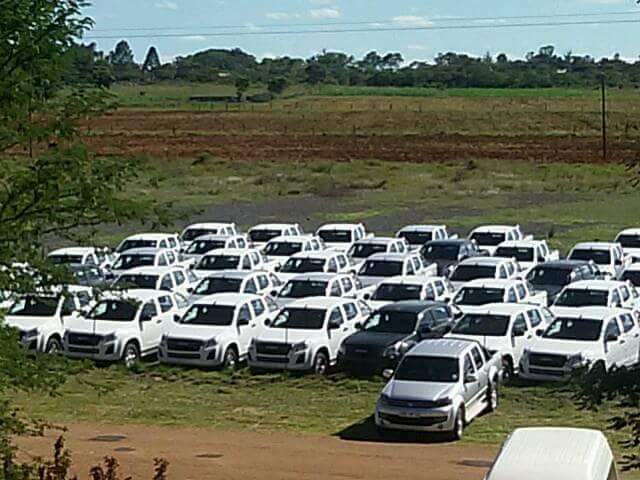 There has been a debate in the past weeks whether it is ideal to purchase 350 vehicles for legislators at a time when the government is failing to provide funds for the purchasing of essential drugs in hospitals. Majority of Zimbabweans were of the view that MPs should forego the vehicles to enable the government to fund critical social sectors such as health. However, speaking to legislators during the 2019 Pre-Budget Seminar in Bulawayo, Minister Ncube said the vehicles are on their way and supports that MPs be given their vehicles. “I am on the side of making sure that you get your vehicles, but we have been debating as to whether we give you a 100 percent loan, partial loan or zero loans so we have that action on the table but either way vehicles are on the way,” he said. Former Finance Minister Patrick Chinamasa in his 2018 budget presentation had promised that legislators in the 9th Parliament of Zimbabwe will get vehicles for free and also get diplomatic passports so that they are at par with ministers. Speaking at the same occasion, Mutare Central legislator Innocent Gonese said the reason why there has been a blotted executive in the country is that of the disparities that exist between Ministers and MPs in terms of their benefits, adding that the gap should be closed. “What I am going to propose is very simple, let’s have the narrowing of the gap between the Members of Parliament and those in the executive, after all, there are no special qualifications for one to be in the executive apart from that it’s a political appointment. “I believe that when we look at the question of vehicles, MPs we are entitled to our vehicles and lets submit that apart from those 5 appointed outside Parliament my view is say let’s have one vehicle policy, one durable vehicle for all members. “This will bring to an end the business of having those in the executive having a Parliamentary vehicle, as well as two other vehicles and those two other vehicles are the ones which are ultra-luxurious like your Range Rover Vogue or Range Rover Autobiography,” he said. Gonese added that if this rationalisation is carried out it will go a long way in helping Parliament to effectively discharge its oversight role as there will be no other members who will be trying to be good boys and girls so that they are appointed to the executive. “I submit that if we have that rationalisation we will even enhance our oversight function because there are some MPs who want to be seen as good boys or girls because they aspire to be appointed to the executive but if there is no or little difference between the two branches (MPs and Ministers) of the state then there will be no reason why members will then be compromised,” he said.